Klennet Carver is a data recovery software to recover fragmented files. Runs on Windows 7 and up. Recovers fragmented photos: JPEG, CR2 (Canon raw), NEF (Nikon raw). Recovers fragmented video: MP4, MOV, AVI, MPEG-2 (AVCHD, MTS), DAV (Dahua video), and certain variations of MXF (Sony/Panasonic camera video). Designed to work with digital camera and dash camera memory cards. Make sure to check system requirements, for these are non-trivial. 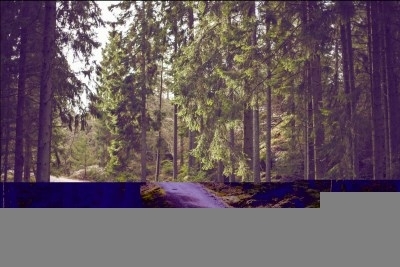 Damaged JPEG file with the bottom part off color and misaligned. Klennet ZFS Recovery, as the name suggests, recovers ZFS filesystems. Figures out pool layout, even when disk labels are missing. Reads stripes, mirrors, RAIDZ, and RAIDZ2. Copies recovered files to a location you specify, does not modify the original disks. Read more - detailed capabilities and limitations, system requirements. Klennet Disk Imager is a software to make a copy of the entire physical media, disk or memory card, in a file. Read slightly or moderately damaged drives. Write raw, VHD, or VHDX disk image files. Specialized to deal with bad blocks and still maintain high imaging speed. Klennet RAID Viewer is a small freeware tool to investigate a block size and layout in an unknown RAID. Block view for a sample RAID 5, generated automatically from data on disks. Data recovery technicians working with RAID disk sets will find Klennet RAID Viewer useful to confirm or eliminate RAID layout variants. This is required when customer is not able to provide reliable RAID layout information. 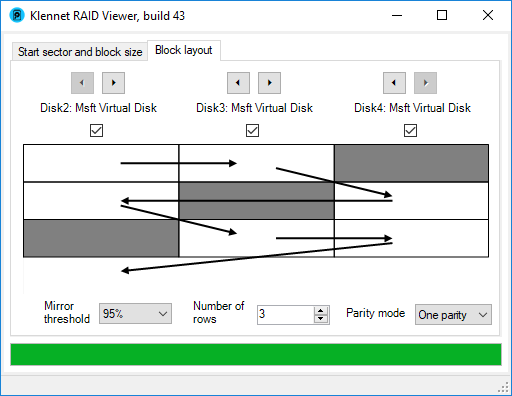 RAID Viewer is also useful with complex RAID arrays like RAID50 or RAID60 to assign the RAID disks to their corresponding RAID5 or RAID6 groups. For more information look here.